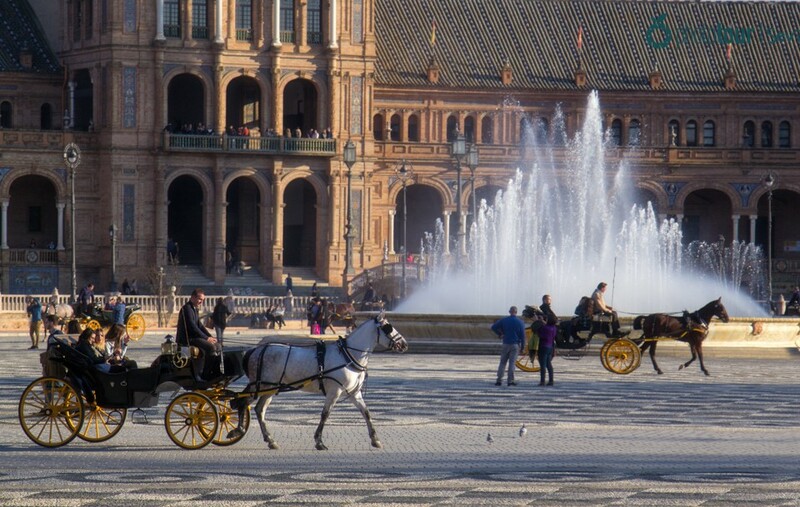 Seville is a city full of history. Its numerous invasions through the years by different cultures (Phoenicians, Romans, Muslims…) have left an architectural legacy that can be easily witnessed. This makes Seville a unique place full of stunning corners! 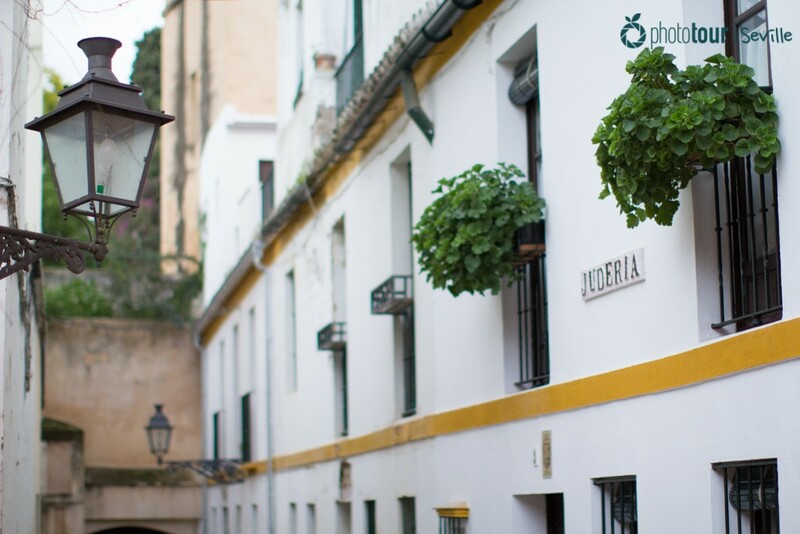 These secret places of Seville are only known by locals “sevillanos”, but in Seville Photo Tour we want you to know where they are, so we have made a list of the best ones for you. Check them out! The little Santa Marta Square, the smallest plaza of Seville, isone of those magic “rincones” of the city you need to know when you are here. Located at downtown, near the Cathedral, it can be reached through a narrow street in Plaza Virgen de los Reyes. In 594, this place was a witness of the prayers that were accomplished in the Convento de la Encarnación. Several years later, the mosque turned into the Hospital de Santa Marta, built in 1385. The Santa Marta Square is surrounded by four orange trees, known as the tallest of Seville, and in its center you will find the cross of San Lázaro. This small and delightful square is one of those places where you can feel the pass of time, and we are sure you will love the pictures we can take here with our photo tours, especially if you are thinking of an intimate and romantic spot. The popular Doña Elvira Square is one of the most charming spots of the Santa Cruz neighborhood. Its name was given by Doña Elvira, the daughter of the famous Don Gonzalo de Ulloa. This plaza arose by the redevelopment that the neighborhood suffered between 1911 and 1918. 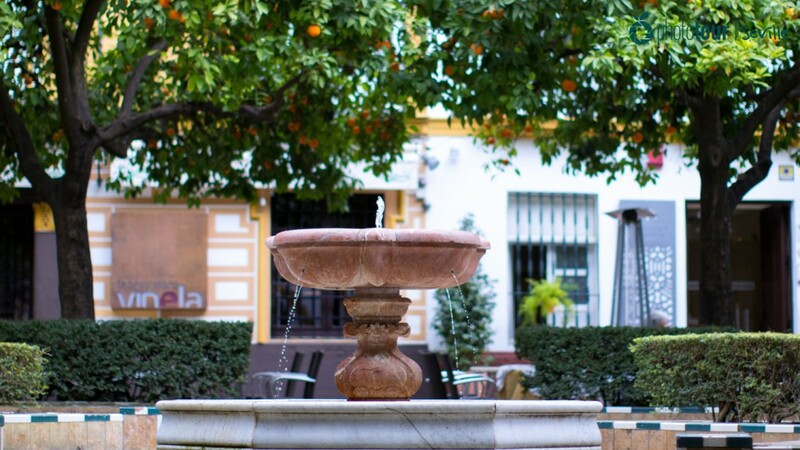 Surrounded by orange trees and decorated with ceramic benches, this secret place of Seville invites to remain in peace while you listen to the sound of relaxing water from the fountain. To get there, we find Plaza de la Alianza and take the street that follows the wall of the Real Alcázar. After reaching a narrow corridor, we get to the plaza. 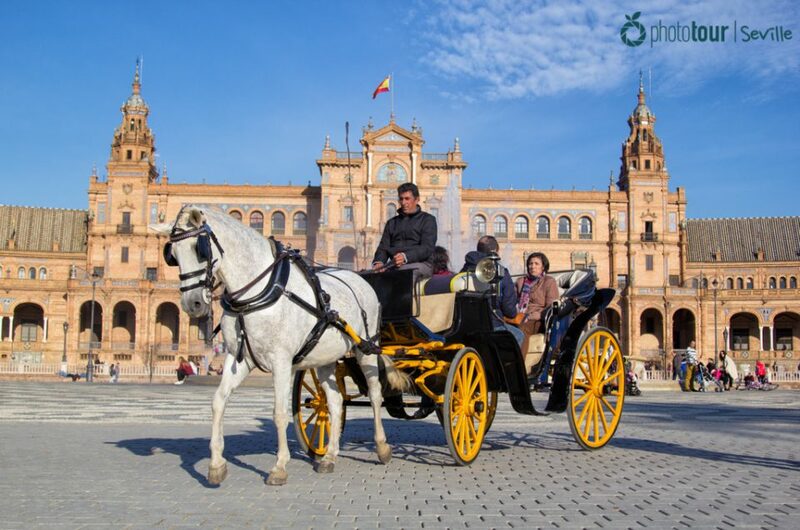 At lunchtime and dinnertime you will find this square usually crowded, but with Seville Photo Tour you will see and enjoy this secret place of Seville in its full splendor. This famous street of “barrio” Santa Cruz was part of the neighborhood of Seville were the Jews lived since “La Reconquista” of Fernando III. The houses of this street are property of the Real Alcázar, and aforetime were the residence of the palace service staff. Once you are in this small and narrow street you feel like back in 1492. It’s one of those spots of Seville where everybody should have a picture, so in Seville Photo Tour we will make sure you get yours! This square was built as a tribute to the Spanish romanticism poet Gustavo Adolfo Bécquer. You will find the figure of the poet wrapped by a Spanish coat and accompanied by three women, who represent the love that comes, the love that lives and the love that dies. 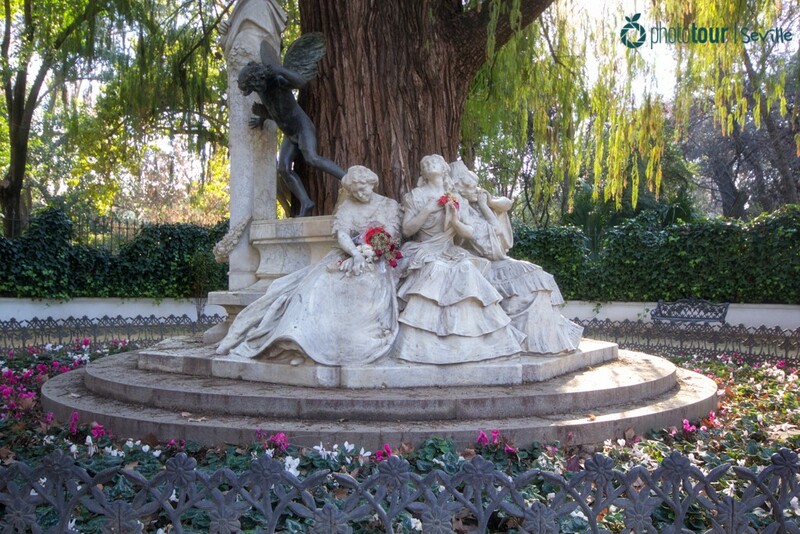 This monument is located below a huge and centenary cypress, planted in 1850, inside the María Luisa Park (very close to Plaza de España), and of course it is one of those spots of Seville you won’t miss with our photo tours. If you are coming during the spring, the pictures we will take will be even more impressive, as the María Luisa Park is awesome during this time of the year. The Isleta de los Patos is a pond surrounded by rustic stones and with a main island that can be reached through a little bridge inside the María Luisa Park. In the island is located a Neo-Arabic temple with beautiful horseshoe arches. The legend says that it was here where Alfonso XII and María de las Mercedes started their engagement. Nowadays, numerous ducks and swans inhabit inside, enjoying of a perfect environment for them. 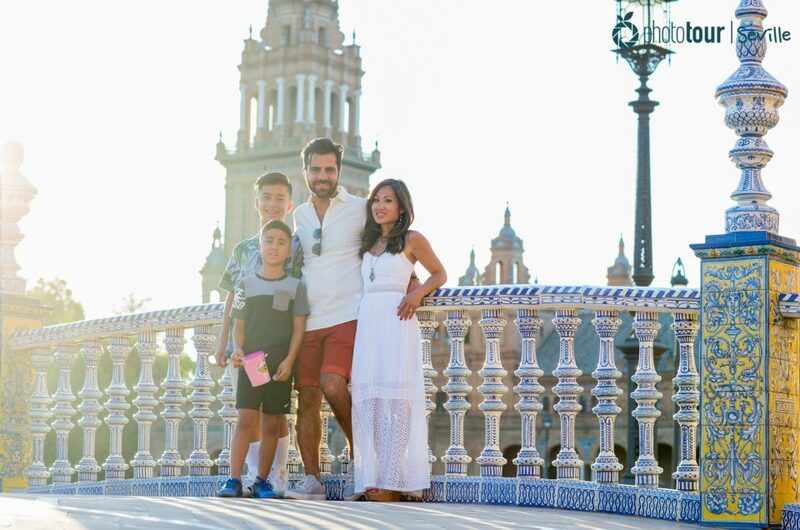 You could find this place very close to Plaza de España, and it is one of those spots to equally enjoy if you are coming to Seville with your kids, or if you want to surprise your couple with a romantic scene. Just make sure we are there to immortalize the moment! If you liked the spots and you need a hand to find them, join us at Seville Photo Tour and let us show you these secret places of Seville. You enjoy it, we save it! Photo Tour Seville Enjoy a photo tour or a photography workshop in Seville with us. 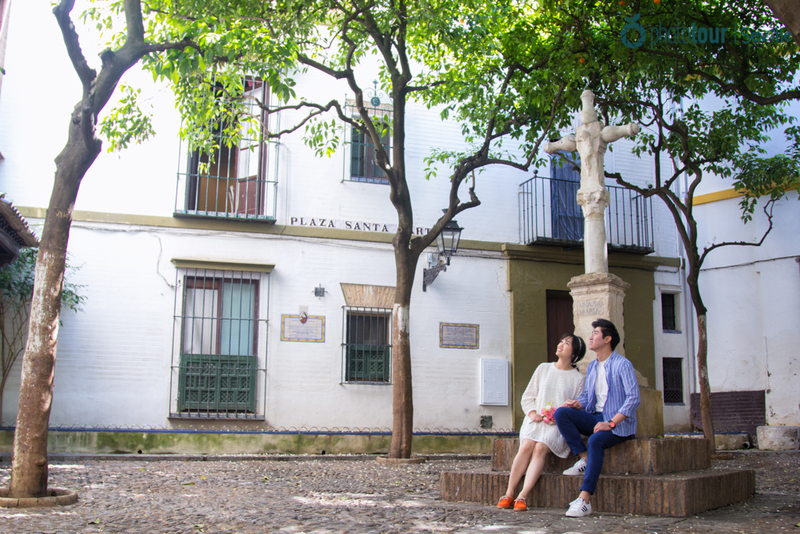 Meet our team of professional photographers and discover why we offer you one of the best things to do in Seville. You enjoy it, we save it!